I am likely to be visiting Disneyland as well as Disney's California Adventures on February 12th and 13th. If this were confirmed, would any reader of the blog want to meet there? Please email me at didier.ghez@gmail.com if you do. 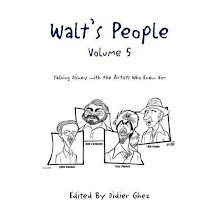 Walt's People - Volume 10 is now available through Amazon. Please spread the news. I have a feeling you will love those two videos. Here is a book I am really looking forward to. I am biased since I contributed an essay about Joe Fowler and Carl Bongirno to this volume, but the subjects explored as well as the contributors are bound to make it worthwhile if you are interested in the history of the Disney parks. Scott and Carol Holmes: Whatever Happened to Beastly Kingdom? 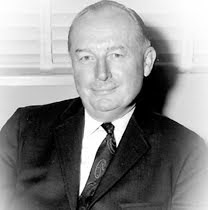 Michael Scopa: The Carousel of Progress: What Would Walt Think? 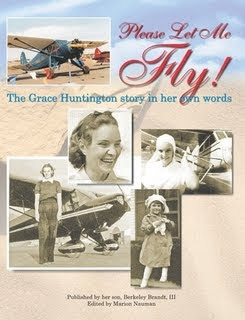 Grace Huntington worked at the Disney Studio in the '30s as a storywoman. I was excited to stumble upon her autobiography yesterday. The book was edited and released last year by her son Berkeley Brandt. 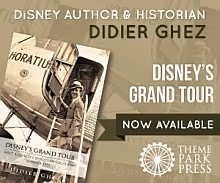 I suspect that the book does not contain very much about Grace's Disney career but even that small section will probably satisfy me. We will see. 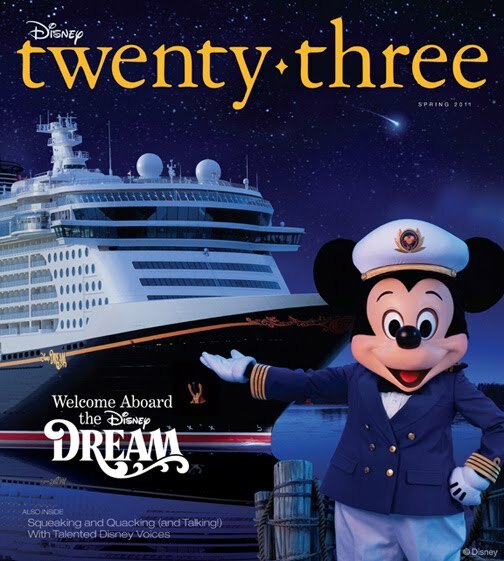 The new issue of the Twenty-Three magazine will be released on February 1. 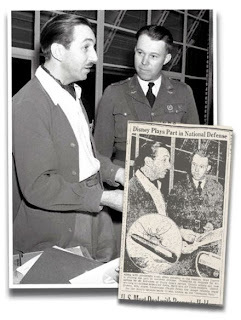 I am particularly looking forward to Becky Cline's article about Walt and Roy's 1935 trip. 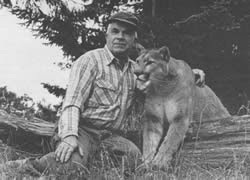 Jim Korkis and I are in the process of interviewing another one of the individuals who were involved in the making of the True-Life Adventures, artist and naturalist Boyd Shaffer. 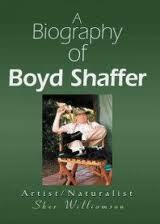 I discovered the existence of Boyd Shaffer thanks to the book pictured above. Based on Boyd's wife's review of the book I do not recommend that you buy it since it seems to be full of inaccuracies. 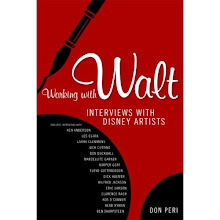 The interview we are conducting with Boyd and that should be released in Walt's People - Volume 12 will probably become a good reference about him and his work for Disney. Luciano Berriatua bought recently from Leslie M. Brooks (who manages the Wabbits store on ebay) this great drawing by Ferdinand Horvath. 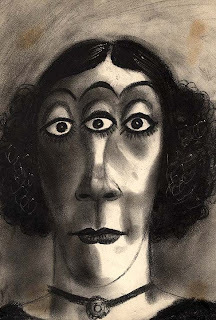 Luciano asked himself two questions: When was it created and who are the artists caricatured? The paper's three circular pegs and 2 rectangular ones started being used around mid-1935 and until 1944 but strangely the size of the paper (9,5" x 12") corresponds to pre-1935 sheets (the ones used starting in 1935 are usually 10" x 12") . It is therefore likely that pre-1935 paper was used with the new perforations in this case. 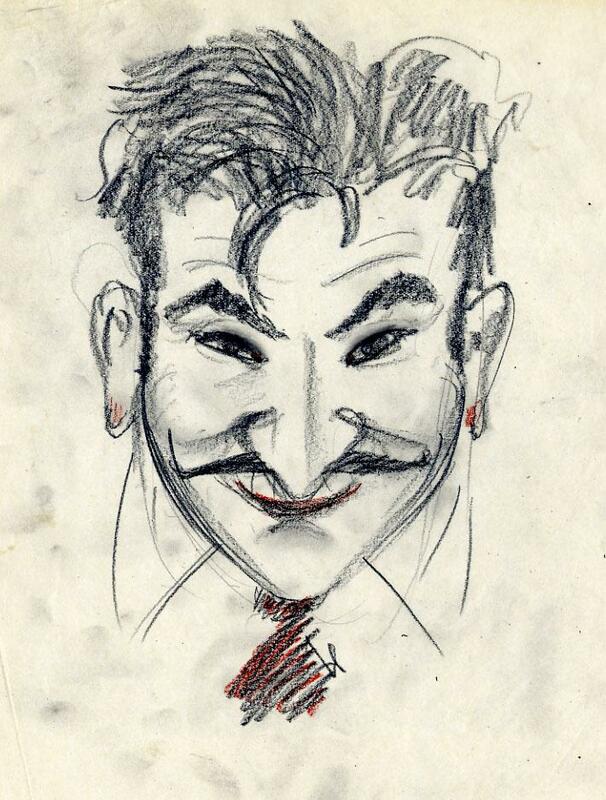 In addition, since Horvath left Disney in 1937, the drawing probably dates from between 1935 to 1937. 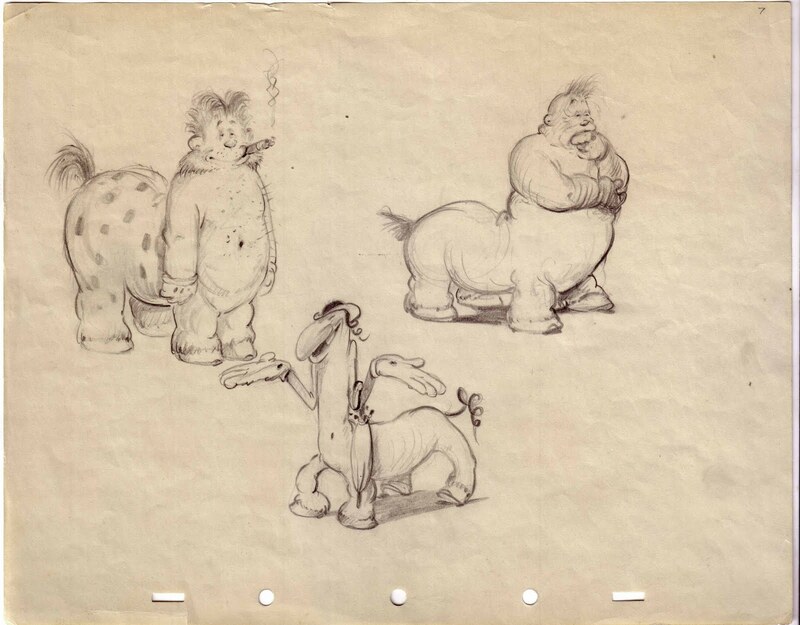 The first model sheets of Fantasia's centaurs, created for the "Cydalise" sequence, are from September 1938. 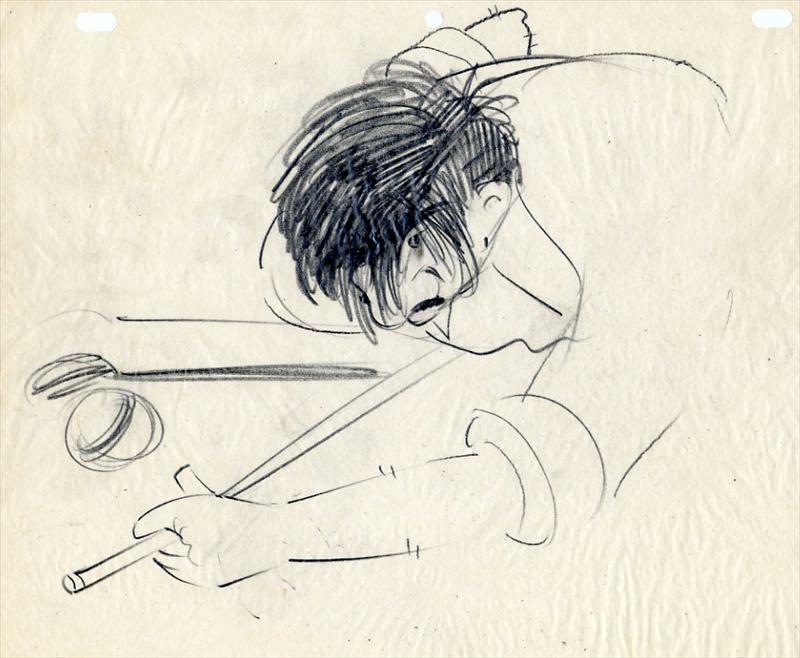 Horvath's drawings would not therefore be connected to Fantasia. More on this below. Who are the artists caricatured? The left centaur definitely looks like Ham Luske. The one on the right is identified as Gustaf Tenggren, which is definitely not impossible. Leslie Brooks guessed that the centaur in the middle was Gilles "Frenchy" de Tremaudan, but de Tremaudan always wore very recognizable Harold-Lloyd-type glasses and did not have the kind of hair which appear to be one of the two key features of the middle centaur, along with his nose. By looking at Studio photographs, Luciano recognized Johnny Cannon (see above). 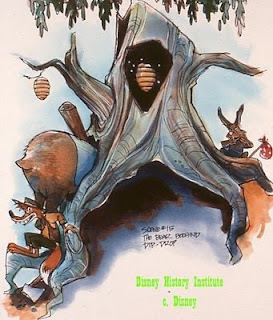 If the drawing was not linked to Fantasia, what project inspired it? In Robin Allan's book Walt Disney and Europe, in the Appendix B, we see a list of "Other unfinished European projects" which includes 1116 The Odissey (Adventures of Ulysses) and 1125 Mythological Research (Stories of Mythology), both probably from the '30s. 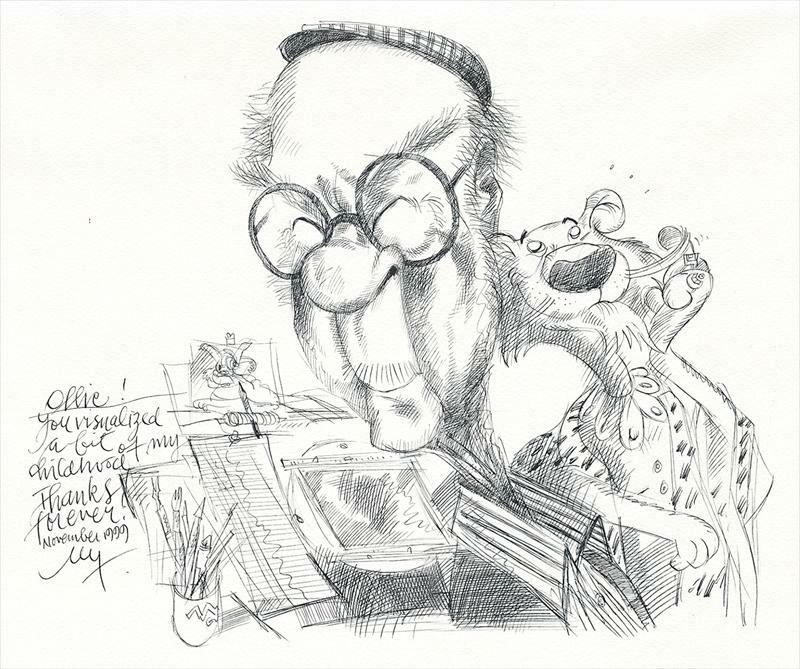 A large number of Hurter's drawings in the book He Drew As He Pleased seem to come from those projects, as is the drawing below from Horvath that appeared in the catalog of Graphic Gallery number 8. Do not miss today this very fun article about Donald by Paul F. Anderson and please also try and leave comments on the Walt Disney Family Museum's blog. 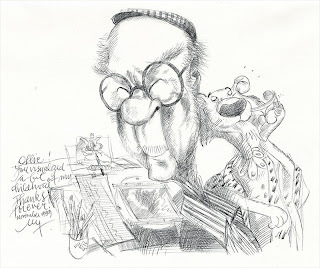 A nice caricature of Ollie Johnston and a few of Bill Tytla are being sold on HowardLowery.com at the moment. 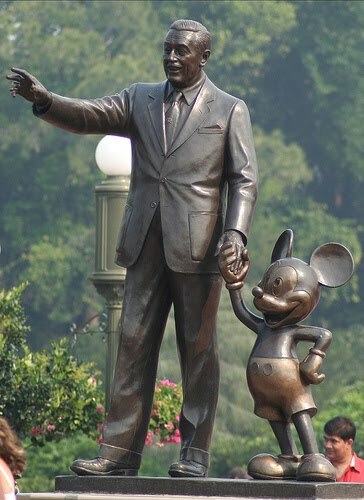 "I thought that it was an honor to do a statue of Mickey and Walt who was, in my opinion, the real genius behind all of this. For me, it was a labor of love. 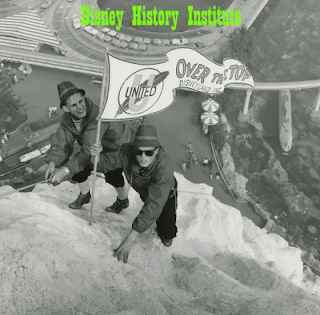 Walt gave me and many others some of the happiest times of our lives, and this project was important because it wasn't just for Walt...it was about Walt. Our faces are all we really have that can tell people who we are. Many people asked me what Walt might be saying as he stood there with Mickey, and the expression I tried to capture was Walt saying to Mickey, 'Look what we've accomplished together', because truly they were very much a team through it all." I always wondered what Ward Kimball TV series from the '70s, "The Mouse Factory," looked like and why so many at the Studio (Woolie Reitherman, Wilfred Jackson and others) hated it. Now I know, thanks to someone who posted quite a few episodes on YouTube including Spooks and Magic (part 2 above), Fitness, Snow, The Reluctant Dragon, and Goliath. Any idea what this project might have been? Two weeks ago I met Spanish collector Luciano Berriatua who showed me the above drawing (part of his impressive collection). 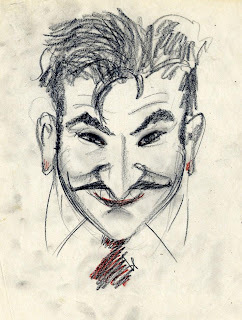 Based on the type of paper, the size of the paper and the peg system, we can date the drawing as having been created at some point between 1928 and 1935 at the Disney Studio. 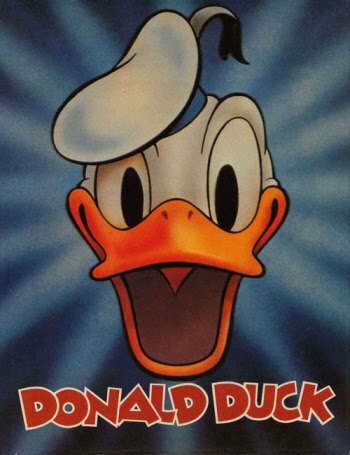 From the name of the character (Mytyl), Luciano deducted that it might have been part of an abandoned project by Disney to adapt Maurice Maeterlinck's play The Blue Bird to the screen. Dave Smith confirmed the following: "There was an early story number (1007) for the project, which was written off on 9/30/39." 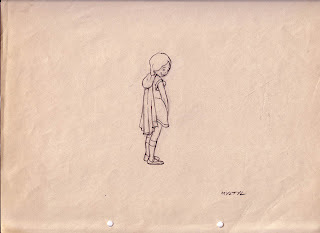 Interestingly Luciano also noticed that in Frank and Ollie's The Illusion of Life one can see the drawing below, whose caption reads, "Ham Luske's suggestion for a younger Snow White, more easily animated." That caption does not make much sense considering the drawing. Snow White with wings? Why? It makes more sense if one thinks of the characters from The Blue Bird representing the stars. How seriously did the Studio work on that project? Did other drawings survive? 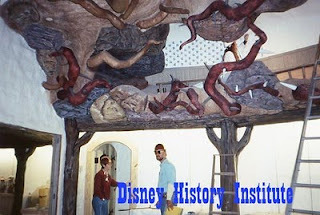 Is there any correspondence between Disney and Maeterlinck? All questions that hopefully will be answered some day. I still need to locate the following documents. Can any reader of this blog help me? I had the pleasure to interview yesterday William Garst, one of the last surviving cinematographers of the True-Life Adventures. 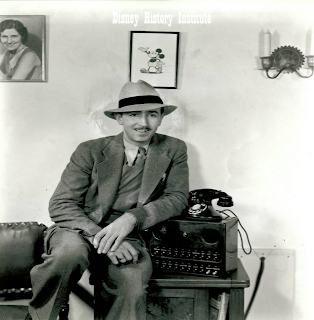 He worked on The Vanishing Pairie and on the True-Life Fantasy Perri. 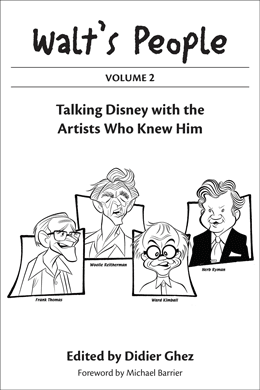 The interview will be released in Walt's People - Volume 12. 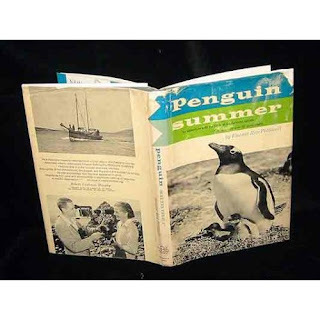 Sewall and Eleanor Pettingill also worked for Disney for a while and I have just located a book that tells about their adventure filming Penguins in the Falkland Islands (the islas Malvinas for my Argentine friends) for the company. The book is called Penguin Summer: An adventure with the birds of the Falkland Islands and was released in 1960 by C.N. Potter. In the end it was much faster that planned. 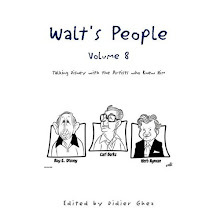 Walt's People - Volume 10 has just been released. It is available at this link on Xlibris and should be on Amazon within 4 to 6 weeks. Please, if you have a blog, a mailing list, a facebook page, or a web site, try and spread the word. 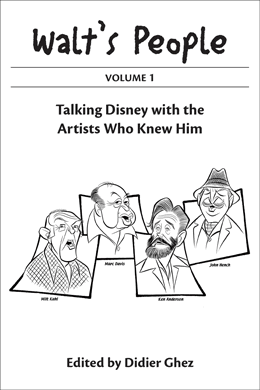 Volume 10 contains all the surviving interviews conducted by Bob Thomas for his biography of Walt, An American Original. 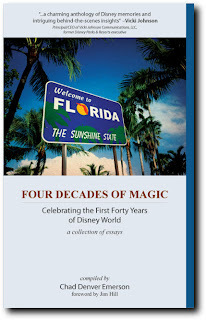 It's 324-pages long and here is the table of contents. I mentioned a few weeks ago an auidio tour called A Walt in the Park with Rolly Crump that might be worth getting. I have now listened to that program. 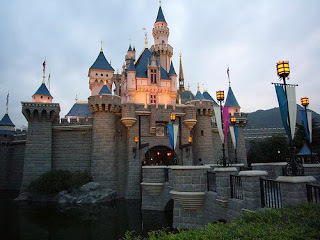 If you are interested in the making of Disney theme parks, do yourself a favor and get that recording right away. It is absolutely full of stories I had never heard or read before. About 20% of the stories can be found in issues 9 and 38 of The E-Ticket, all the rest is new to me. Way to go to Ken Kenbow for having produced that truly great show! 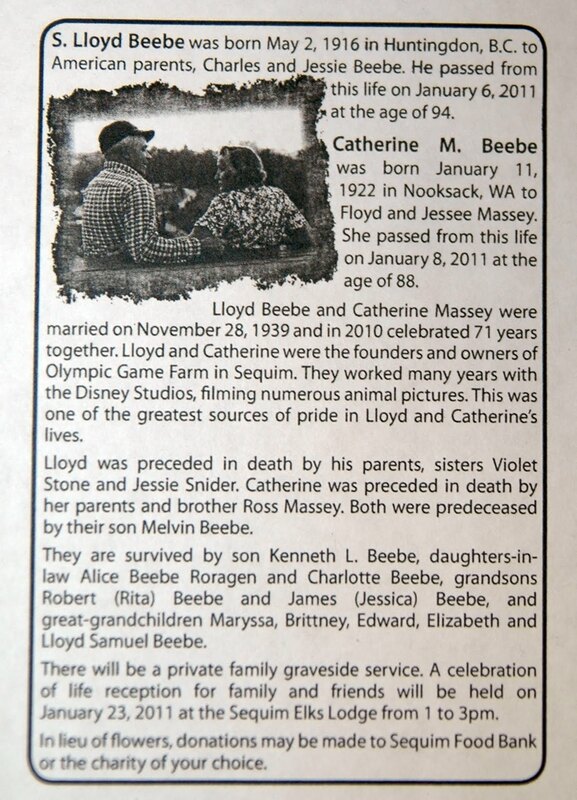 Thanks to Greg Heberlein, here is the obituary of Lloyd Beebe and his wife released in the Sequim Gazette. 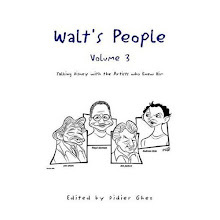 I approved yesterday the galleys of Walt's People - Volume 10. I have good hope now that the book will be available before the end of the month, potentially as early as in about 10 days. We visited this weekend an exhibition of photos by John Gutmann and I thought you would enjoy seeing this one titled Broke But Selling Popeye and Mickey Mouse (1936). 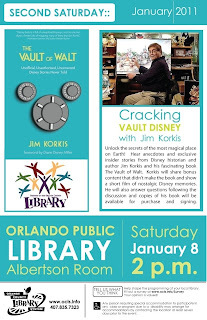 Speaking of Barks, Carl Barks expert Joseph Cowles launched his blog over the week. Enjoy. [I thought I'd stop by and plug my book. 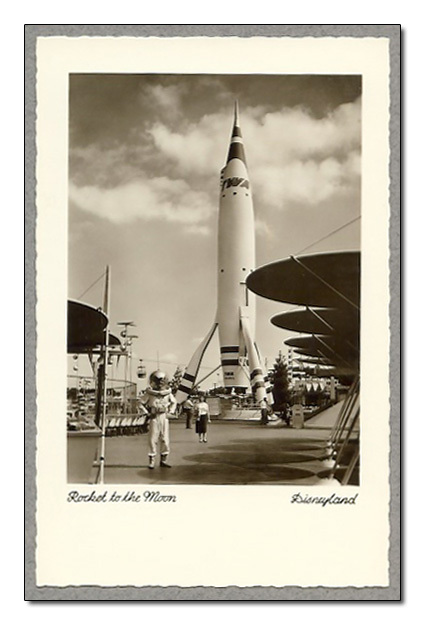 I normally try to avoid such crass commercialism, but I thought someone here might be interested in the material, andsince it's not going to get much (i.e. 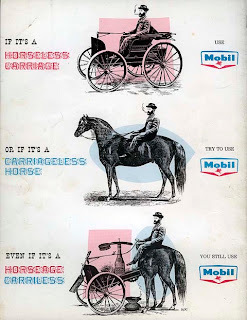 any) advertising, I felt that this sort of stumping was the only way folks would hear about it. It's called After Carl Barks: Painting Fine-Art Cartoons in Oils. I spent about four years writing it, and 33 years researching it. The book basically is a record of everything I know about Barks's paintings, from craft to criticism, and it's about how Barks heavily influenced my own work. There's a free preview on the website, so check it out. I don't reproduce any of Barks's paintings in the book - for copyright reasons - so I assume readers have access to the Barks painting books (of course, everyone has access to images of the paintings from various websites online). 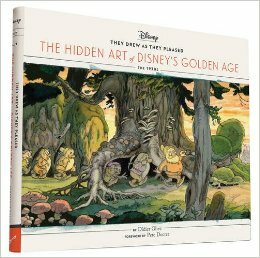 Obviously the book is intended for anyone who knows Barks's painting work well, or who is interested in fine-art cartoons as a genre. The book does reproduce much of my own work as I show examples of what I learned from Barks and how I've done what Barks himself asked me to do: build on his techniques and paint things that no one hasever seen before. Here is a document I just found online and that I think some of you will enjoy. As remembered by James Algar in 1950. 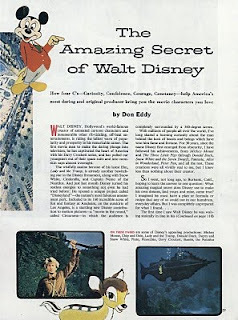 This article was first released in Film and TV Music (November-December 1950). Suppose we see how these observations apply to Beaver Valley. If the composer must play "second fiddle" to the screen, then his music must follow the tempo, the pantomime and the other accidentals of screen story-telling. And if he must give way constantly to narration and dialogue, how can he be expected to accomplish anything? Well, the composer can and does make important contributions to a film. Certainly Paul Smith's score was tremendously effective in Beaver Valley. Film music gives a continuity and a cohesion to screen material; this was particularly true in Beaver Valley. It contributes mood, a feeling of warmth, an emotional tone. It "points up" action, and as you have seen, it definitely adds humor. The music for Beaver Valley was written after the continuity of scenes had been worked out, after the editing was done and after the narration was written. And so one of the first problems the composer had to cope with was the amount of narration. The audience must hear the narrator, or there is no story, thus the music must be subdued when he is talking. This problem is partially solved by the right kind of orchestration during such passages. But of course the real solution lies in having a plan ahead of time so that the narrator is not talking in those sections where the music is to be most effective. It's a compromise situation of give and take. Indeed, in many spate throughout Beaver Valley the music became the story-telling voice, acting .for the moment, as a second narrator. In terms of the story he had to help tell, the composer was faced with many other problems when he first sat down to score the picture. These included a hero in the beaver who was so busy and plodding he was unspectacular; a villain in the coyote who threatened but never quite caught up with his intended victims; a miscellaneous cast of characters in terms of the number and variety of animals; a quality in the humor that was sometimes gentle, sometimes playful but rarely ever slapstick. 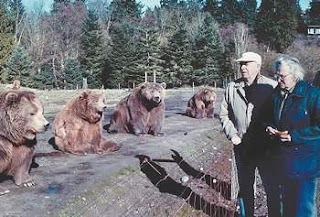 Finally, it had to be remembered that these were real animals, not the usual Disney animals of fantasy. Thus the music couldn't be too weird, or too fantastic or too extreme in direction. In the beginning, certain musical themes were discussed in terms of the personalities of the animals involved or of the character of the material the music would accompany. It was decided that four main themes would recur throughout the picture. First the setting of Beaver Valley itself seemed to call for a descriptive theme. We came to refer to this as the "Nature Theme." 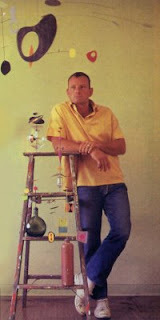 It was to have simplicity, a certain pastoral quality, dignity, and in general a feeling of the bigness of the outdoors. 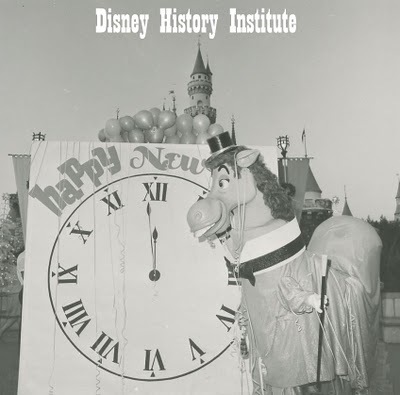 At the same time it had to be flexible enough that it could stand a bit of musical "embroidery" later when the various animals were introduced. The chipmunk, the moose, the marmot, the raccoon all were brought into the story during this part of the musical development. Next came the problem of a "Beaver Theme", an important motif that would be heard several times in the picture. It seemed to call for a certain plodding, even tempoed progression to fit the busy animal's personality. And it had to lend itself to development and new coloration as we followed the beaver's fortunes through the seasons. When the coyote entered the story, we knew we needed a warning note of menace, still the motif had to be short and immediately recognizable in a few notes, for the coyote's entrances and exits were to be sudden and brief. And lastly the playful otters, whose personality was the exact opposite of that of the busy beaver, demanded a theme of their own. They were everything the beaver wasn't. Where he was serious, they were gay; where he moved cautiously, they went at things with abandon. Otters have as much nervous energy as any animals alive, and apparently never sit still. And so their music was made riotous and lively. The tempo was a lively march tempo, full of spirit and movement; the otter theme was purposely patterned after circus music. In fact, an arrangement was written for the U.C.L.A. band of 110 pieces and the number has become their entrance march at football games. The otter theme also has been adapted in a popular version. Lyrics were written and it now is heard under the title of Jing-a-ling Jing-a-ling. The original theme was such a catchy tune it seemed to lend itself naturally to such exploitation. There were other somewhat incidental themes in Beaver Valley. They were incidental only in that they solved the problem of a particular episode but were not used again in the score; they proved to be highlights musically. One of these situations was that of the young ducks learning to fly. The music for this bit of action was definitely tongue-in-cheek and written to heighten an already humorous situation. Even the quacking of the baby ducks was made “musical,”… that is, was made to follow the tempo of the theme. Then there was the Frog Symphony. In this instance humor was derived from the very seriousness of the music. The orchestra played the Sextet from Lucia absolutely straight, and the frogs carried their parts as soberly as opera singers. The effect of course was quite the opposite. Here then were two instances in Beaver Valley wherein the music definitely heightened the humor. In contrast the episode of the spawning salmon found music called upon for something quite different. Here it had to capture the excitement of the magnificent leaps as the salmon fought their way through the rapids; at the same time it had to suggest some of the menace of the bear; and above all it had to underscore the poignant quality of the salmon's valiant fight. There is one thing perhaps which sets the Beaver Valley score apart from others of its kind. I believe one of the reasons the music is effective is the fact that we used an animated cartoon technique in a live-action film. Musically speaking, I mean by this that we synchronized our music to our screen pantomime more often and more closely than is generally done in live-action movies. This was attempted not only in the major sequences where the ducks quacked to a tempo and the frogs croaked in unison with the orchestra, but all the way through the picture in little individual situations. The composer once told me he had written his score with a "loving touch". He meant, I'm sure, the musical effects in such scenes as the one where the marmot on the rook yawns and stretches... where the raccoon caught the crayfish, and where the otter poked his head up through the thin ice. To get this close synchronization requires patience, time and careful planning. It involves a thorough study of the picture by the composer. It means running the picture back and forth on a Moviola while the action is observed scene by scene; it means timing these actions with a stop-watch; it means coping with the mathematics of the problem of so many feet passing through the projector in so many seconds accompanied by so many bars of music to such and such a tempo. Paul Smith once told me that he definitely tried to write a score that was not pretentious. He said, "I tried to write music that was in keeping at all tines with the picture. I simply tried to do an honest job of scoring." In this, I believe he succeeded. 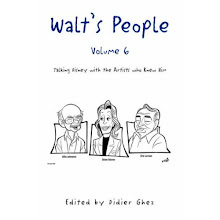 Walt's People - Volume 10 has finally been sent to the publisher today and should therefore be available within about 6 weeks. 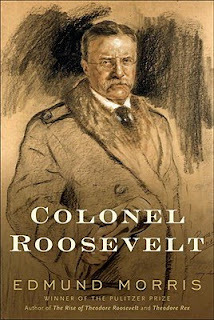 One of the most fascinating books I have read in recent years is the three-part biography of Theodore Roosevelt by Edmund Morris. It reads like a novel, while being meticulously researched (I am in the middle of the last volume, Colonel Roosevelt, which has just been released and that I had been expecting for years). The reason I mention all this is that I discovered how interesting the life of Roosevelt could be thanks to a $crooge Mc Duck comic book by Don Rosa, but also because I just spotted on Amazon an upcoming book that seems to discuss the influences of both Theodore and Walt when it comes to preserving Nature in America: Film and the American Moral Vision of Nature: Theodore Roosevelt to Walt Disney. Not sure what that book will be worth but there is a strong chance that I will pick it up when the time comes. 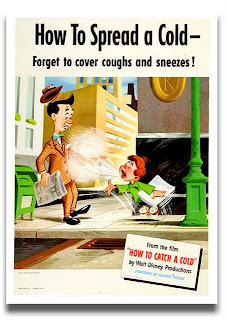 I learned today with sadness that Lloyd Beebe, one of the key cinematographers on Disney's True-Life Adventures, had passed away yesterday. 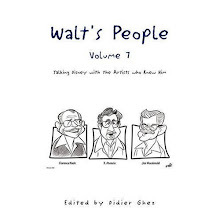 I mentioned Lloyd often on this blog over the last few months and his life and career will be celebrated through several interviews in Walt's People - Volume 12. Another True-Life Adventures cinematographer, Disney Legend Paul Kenworthy, died two months ago. - The second video in the "Little Timmy" series on which our friend Greg Ehrbar worked recently. Once again, I need your help to locate some rare articles and documents. Do any of you have copies of the 1939-1940 Disney newsletter The Bulletin? Would you then be willing to share copies of some of them? Could some of you help? 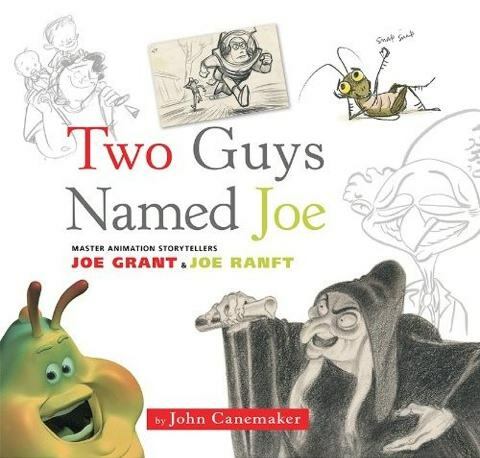 I missed this book when it was released in 2009, but just discovered it through Amazon.it. 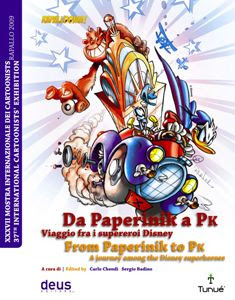 This catalog of the 37th Mostra of Rapallo with text in Italian and English is titled From Paperinik to PK - A Journey Among the Disney Superheroes. 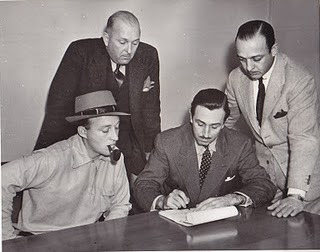 Its authors, are two of the best Italian Disney script writers: Carlo Chendi and Sergio Badino. 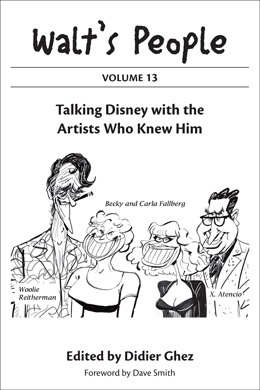 If you are fan of Disney's Italian comic books, this should definitely be worth picking up. 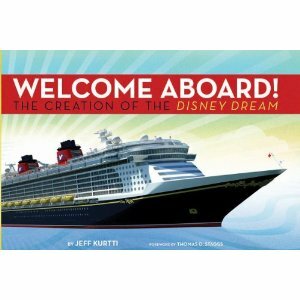 FYI: This book has now been released but is only available aboard the ship itself. It seems to be very short but apparently does contain a few renderings. Nothing to get too excited about though from what I heard. 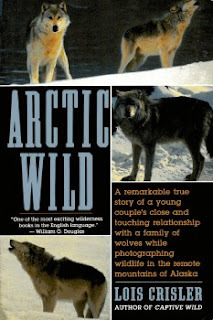 I just discovered that Lois Crisler, one of the photographers on White Wilderness had written a book at the time about her experience in the Arctic, called Arctic Wild. I doubt she discusses directly the actual production of that True-Life Adventure but the content of the book is probably directly related to the movie anyway. The Denver Library contains Lois Crisler's papers. 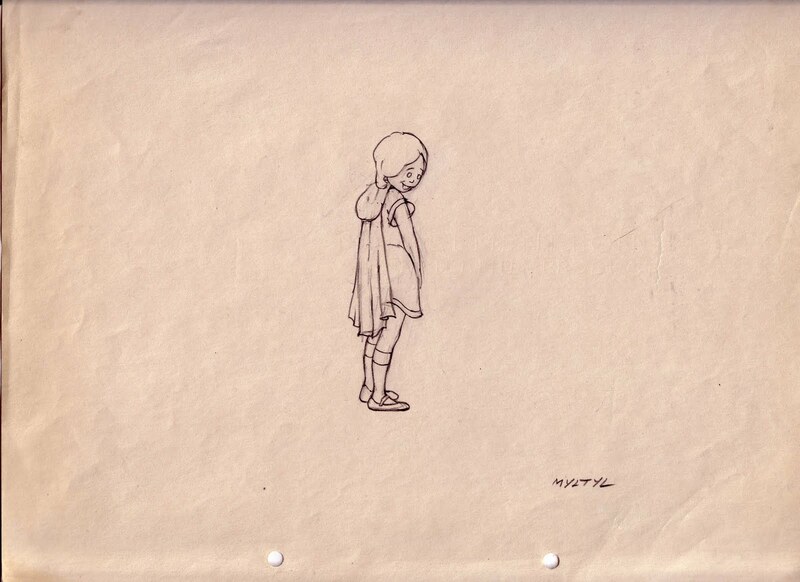 If one of you lives in Denver, it would be great if you could have a look at those papers (especially the correspondence and the journals) to find out if they contain anything about her work for Disney. 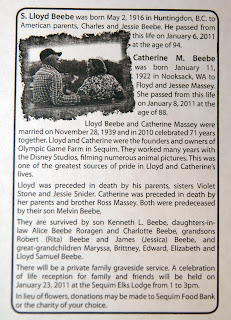 The same is true if you live in Washington, since the papers of her husband Herb can be found at the University of Washington. They worked as a team. [I think your Christmas listing of what you want Santa to bring should be a regular feature on your blog: Lost Treasures (that need to be found). As always, let's start 2011 with the best of the previous year. 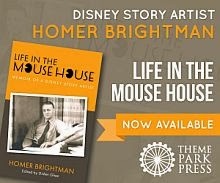 Here is my selection of the best Disney history books of 2010. I have to admit that I had difficulty ranking the first three. I believe they could each be at the top of the list. 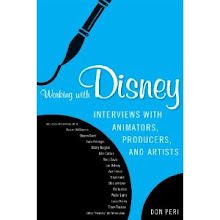 Once again 2010 proved to be an excellent year in terms of Disney publications, be they serious studies about a specific subject, memoirs or art books. Thankfully 2011 looks very promising too in that respect. 1. Canemaker, John: Two Guys Named Joe: Master Animation Storytellers Joe Grant and Joe Ranft published by Disney Editions; 2010. 2. Lindquist, Jack; Combs, Melissa J.: In Service to the Mouse published by Neverland Media; 2010. 3. 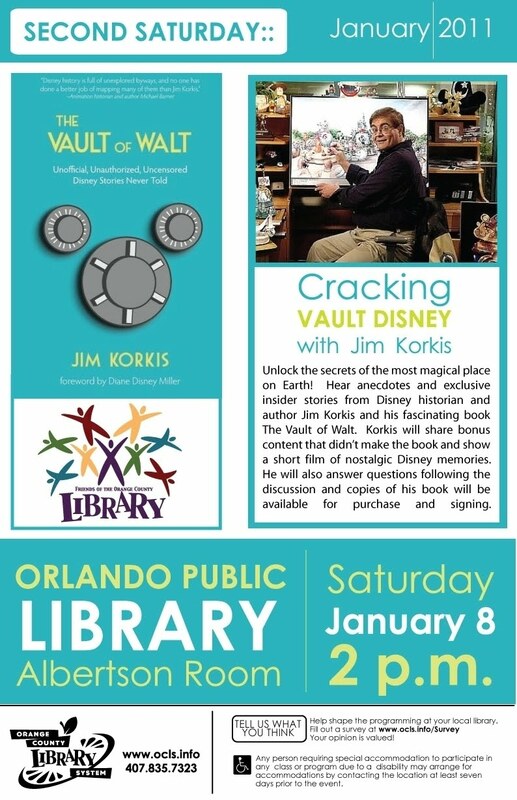 Korkis, Jim: The Vault of Walt published by Ayfour; 2010. 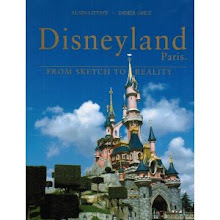 4, Malmberg, Melody: Walt Disney Imagineering: A Behind the Dreams Look at Making More Magic Real published by Disney Editions; 2010. 5. 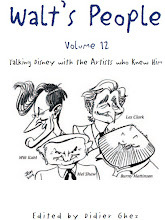 Smith, Lella (editor): Walt Disney Animation Studios The Archive Series: Design published by Disney Editions; 2010. 6. Peri, Don; Burns-Clair, Pam: Walt Disney's First Lady of Imagineering, Harriet Burns published by Donning Publishers; 2010. 7. Armstrong, Jennifer: Why? 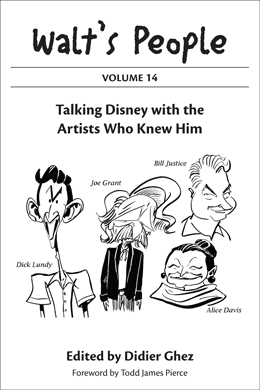 Because We Still Like You: An Oral History of the Mickey Mouse Club published by Grand Central Publishing; 2010.